Lughnasa and the beginning of the harvest. 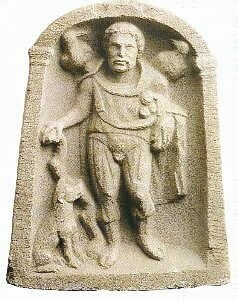 A Gallo-Roman depiction of the god Lugh, who gave his name to Lyons in France – Lugdunum in Latin. It is an oddity of the calendar in the Irish language that there is a month called Mean Fomhair (or middle harvest, now September) and a month called Deireadh Fomhair (end of the harvest, or October), but there is no month whose name refers to the beginning of the grain harvest. There is, however, a major festival to mark the turning of summer towards the autumn. This is one of the four great festivals of the ancient Irish calendar and marks the beginning of the harvest season – Lughnasa. In Irish the whole month that we call August is named after this feast held at the beginning of the month. Lughnasa was dedicated to the ancient god Lugh (or Lú in modern Irish). In Irish mythology, Lugh was a god born of mixed parentage – his father came from the Tuatha de Danann and his mother was a Formorian. These were two of the mythical ancient peoples who populated Ireland and struggled to gain ascendency over the land. After many adventures, Lugh eventually led the Tuatha de Danann to win a battle at Mag Tuireadh (Moytura), thus securing Tuatha de Danann ascendency. The outcome of the battle is linked in mythology to a defeated Formorian leader offering to teach the Tuatha de Danann the secrets of successful agriculture. Already we can see the link between Lugh and the harvest. But the link between Lugh and the harvest is even closer because, following the ancient Irish tradition, as a boy, Lugh was apparently fostered by a woman called Tailtu. 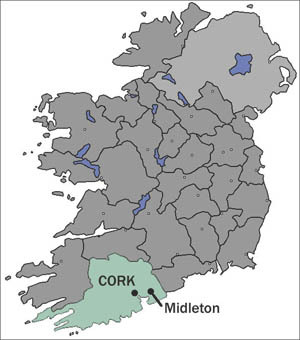 She died of exhaustion after clearing away much of the the forests of Ireland to create fields for pasture and tillage. In her memory Lugh ordered a great assembly and funeral games to be held at Tailteann or Teltown in County Meath. But this was only one of the events that marked the Lughnasa festival – another event is still celebrated in County Mayo, but is given a totally Christian interpretation. 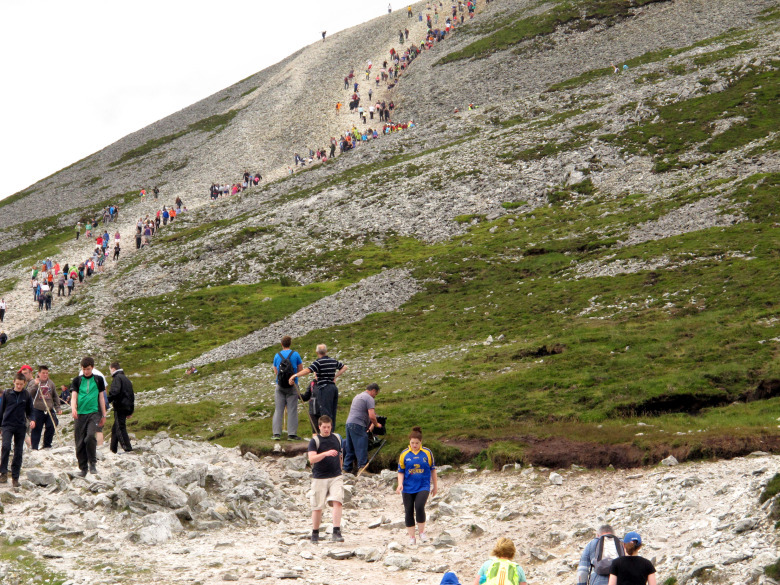 This is Reek Sunday when pilgrims climb Ireland’s holy mountain, Croagh Patrick. This year’s Mass at the summit was cancelled due to a severe weather warning – but hundreds still went up the mountain. Reek Sunday usually happens on the last Sunday in July – the displacement of the pilgrimage to this date serves to emphasize the Christian nature of the event, which for centuries has overlain the ancient pre-Christian celebration of Lughnasa on high places. After an exhausting chase over the mountains, King Puck is captured to preside over Puck Fair in Kilorglin, County Kerry. Although said to be just four hundred years old, the Fair is probably a much older festival linked to Lughnasa. One extraordinary festival in early August sees the celebration of Puck Fair in County Kerry. 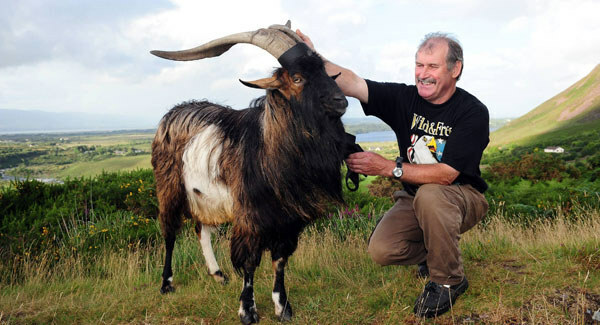 A wild mountain billy goat is captured after a mad chase over the hills and mountains of south Kerry. 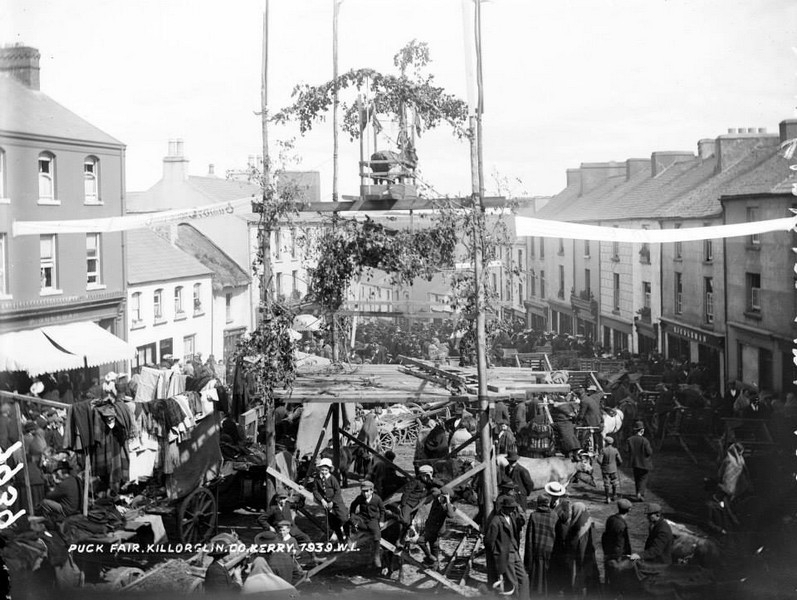 After inspection by a vet, the goat is placed in a rather luxurious cage high up on a platform overlooking the week long celebration in the town of Kilorglin. The goat-god, (called King Puck) is usually presented with a human consort or queen for the duration of the festival, after which, the well rested and well-fed, god is returned to his natural habitat and his harem of she-goats. Puck Fair is an extraordinary survival of ancient pagan rites in, supposedly, mostly Christian Ireland. it is likely that at one time the goat would have been sacrificed and the flesh eaten. In other celebrations an old bull was sacrificed and the flesh was butchered, cooked and shared out among the company. It should be remembered that recent scientific studies have shown that dairy produce provided most of the protein of the ancient Irish, with only the most important people getting a regular intake of meat. So, festivals which required the sacrifice and consumption of an animal were also occasions of importance for the intake of meat protein for the less well off in Irish society. While Europe went to war in August 1939, Kerry celebrated Puck Fair, thus continuing an ancient tradition. King Puck is housed in the platform at the top of the scaffold. The distinguished folklorist, Máire MacNeill, suggested that the festival of Lughnasa also involved cutting the first corn and burying it in a high place (hill or mountain) in acknowledgement of the role of the gods in supplying the harvest. The sacrifice of an old bull allowed the introduction of a younger new bull to the herd of cattle to replenish the stock. 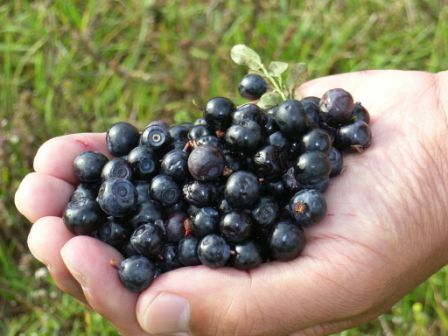 The festival was also linked to the consumption of bilberries, which often grow on poor acidic soils – the first fruit of the harvest season. Bilberries, native to Europe and Asia, were gathered from marginal lands and eaten at Lughnasa. In some places, especially in Ulster, Lughnasa is also called Lammas. In recent times various places in Ireland have attempted to revive Lughnasa as a summer celebration. Amusingly, the first weekend in August is a Bank Holiday weekend in the Republic of Ireland. This is the date when many people head off abroad in search of a sunshine vacation (rather necessary in this year’s cool, cloudy and damp summer. The term Lughnasa came back into prominence in recent years with Brian Friel’s play Dancing at Lughnasa, and, especially, the film based on the play, which starred Meryl Streep.